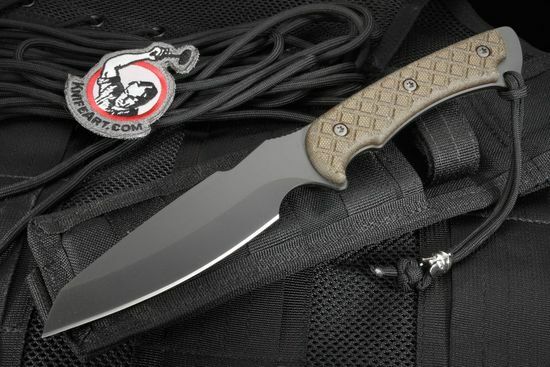 The Spartan Blades Hybris, combat/utility fixed blade knife is a tactical knife designed by former Special Forces members Curtis Iovito and Mark Carey. 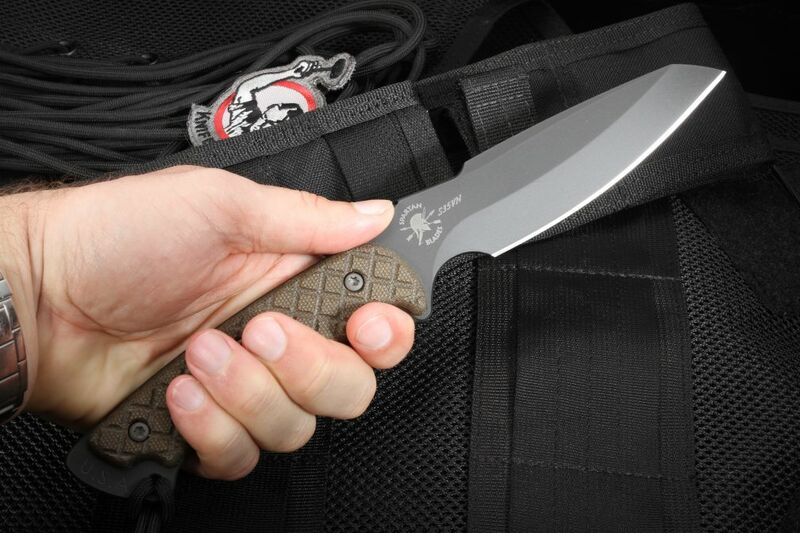 Designed with cutting in mind, like a take anywhere fixed blade knife, the Spartan Hybris is ready to work like a combat and utility knife with a 5 7/16" blade and overall length of 10 7/16". 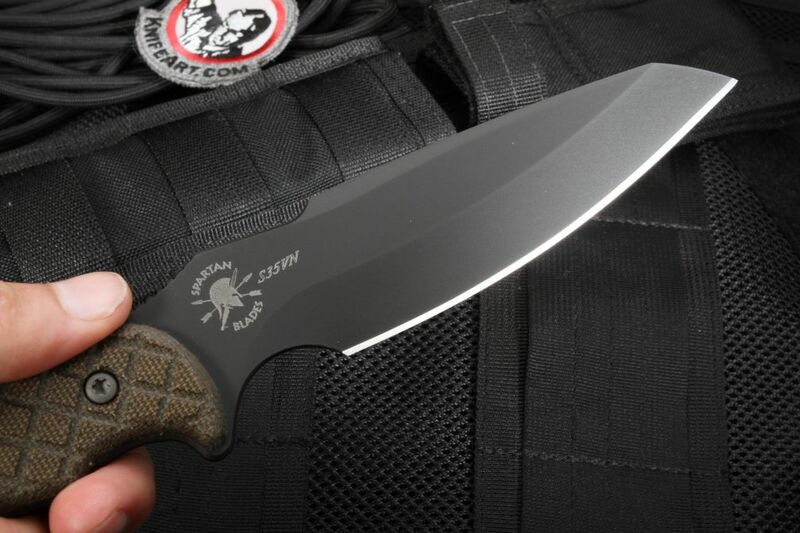 Made from American stainless CPM S35VN steel and coated with a SpartaCoat DLC (flat black) finish and a Kydex and felt lined nylon sheath, this knife can stay secure under any punishment you encounter. The blade has a graceful and flowing sheep foot design, which allows for smoother, more even and controlled cutting. The textured green G-10 handle produces a positive grip in wet or dry conditions. Integral lanyard hole in the handle as well as a paracord lanyard with a spartan helmet bead. 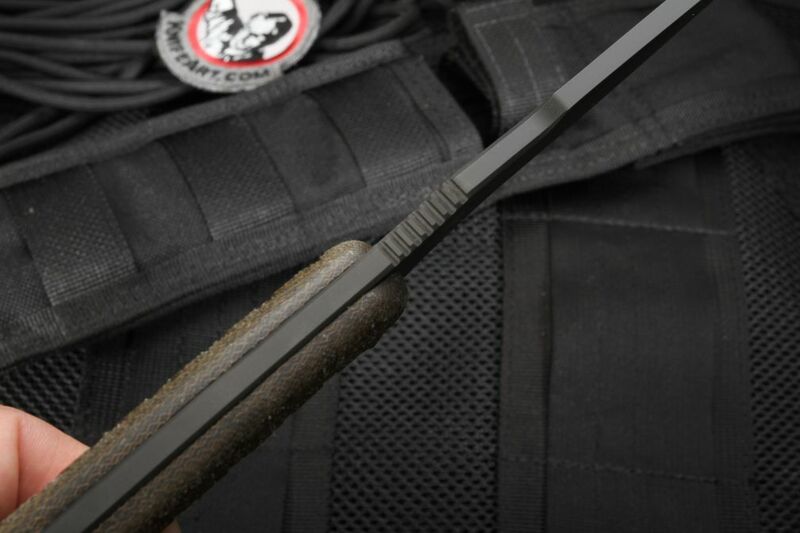 The lifetime warranty from Spartan Blades U.S.A. gives you a rock solid backing should anything ever happen to the knife. 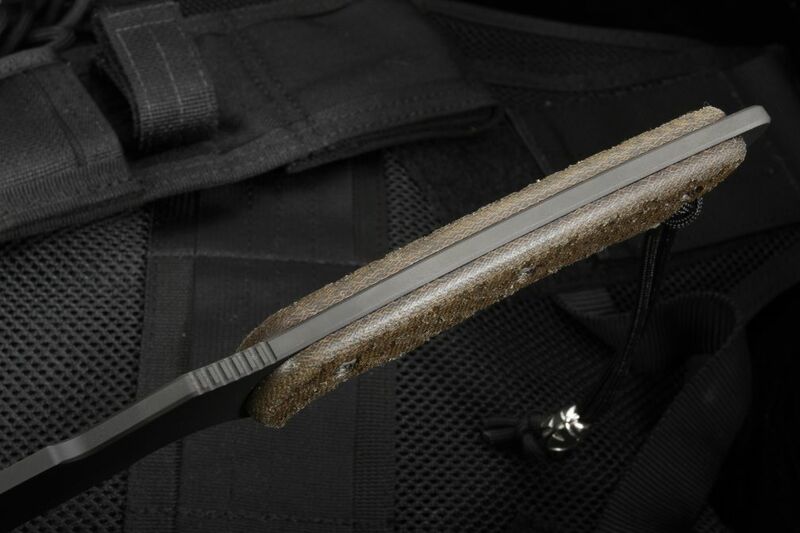 Put the Spartan Hybris in your fixed blade line up and see for yourself why this knife excels. Proudly made in the USA by Spartan Blades!